Neon lights are most commonly associated with storefront signs, and use neon gas in hollow glass tubes to produce their famous luminous glow. An electric current is run through the neon gas (mixed with a small percentage of argon), which produces a reddish-orange light. Neon lights were first made in 1911 by French chemist Georges Claude. Neon lights quickly became popular for business signs in the early 1920s throughout France and the United States. Neon gas, first discovered in 1898, is named from the Greek word for "neos," which translates to "the new gas." Neon naturally produces a red glow, but over 150 other colors can be created with the use of other substances. Most commonly, argon, phosphor, xenon, helium and mercury are used. 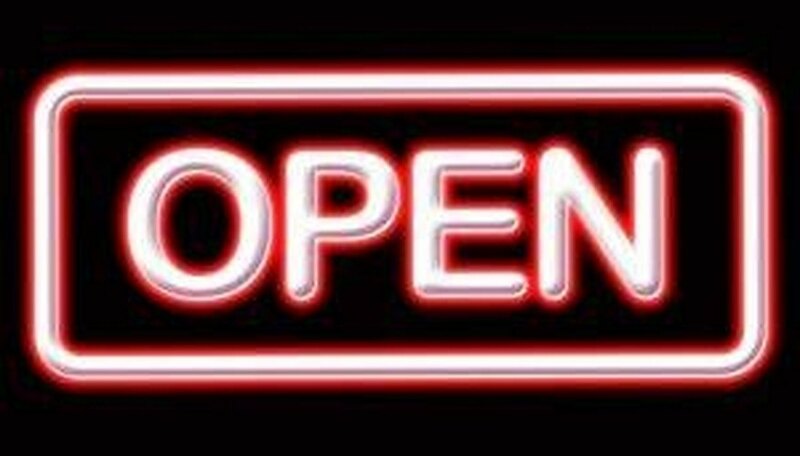 Neon lights appeal to business owners because their bright glow, which can be seen just as easily in daylight as at night, easily grabs the attention of passers-by. 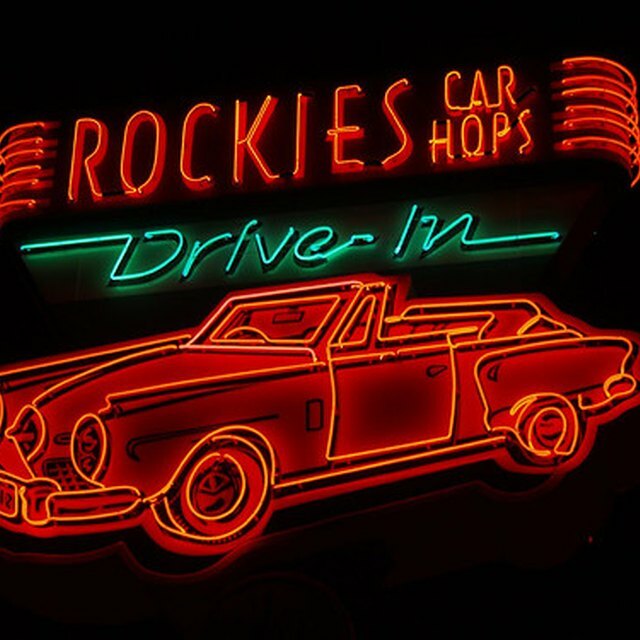 Neon lights were first used in the United States when Georges Claude sold two signs to the Packard car company in 1923. The lights, which spelled out, "Packard," cost $12,000 each. Mohrman, Eric. "Facts About Neon Lights." Sciencing, https://sciencing.com/facts-4899687-facts-neon-lights.html. 09 January 2018.